I just received my tenth FabFitFun box. This Spring box has been one of my favorite boxes yet… even though we haven’t gotten much Spring weather yet. 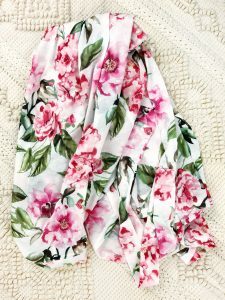 This Show Me Your Mum Brie Robe was one of the items in the Spring box and I can’t wait to use it as a cover up for our Maui trip or it’ll just be wonderful for a lounge day. I styled it with all white underneath to show you what it looks like on. This used to be my only subscription box, but I recently added Sephora Play! into my rotation. 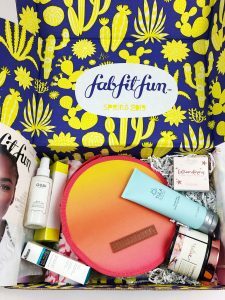 FabFitFun sends a box every season and it is packed full of a variety of items, such as jewelry, makeup, stationary, home decor, apparel, etc. The box is $49.99 each quarter, but you can save $10.00 on your first box today using my code HERE. I’ve signed up for the yearly membership, that way I can have more control over what colors, etc. they send me. 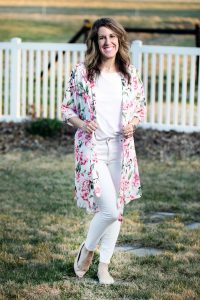 This floral robe is light enough to wear as a swimsuit cover up, or enjoy a spa day at home and lounge around in it after taking a luxurious bubble bath. 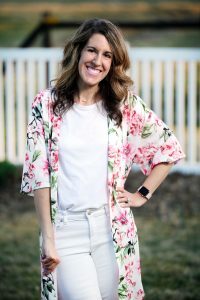 I just adore the floral pattern in this Show Me Your Mumu Brie Robe, I’m crazy about pink blooms! 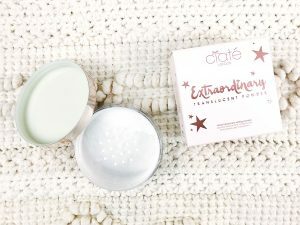 There is another blogger I follow on IG Stories and she is always raving about this product. I was going to buy it for myself, but I was pleasantly surprised when it arrived in my FabFitFun box. I’ve been really pleased with it, especially on days when I don’t get as much sleep as I’d like! This face cleanser is unique in that is uses probiotics to gently remove dirt, impurities and makeup while leaving the skin balanced and clarified. 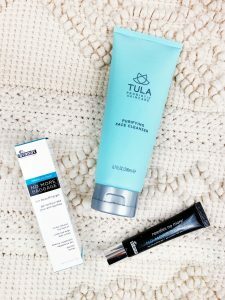 I’ve heard a lot of great things about Tula products and I was excited to try this cleanser out and I’ve been really pleased with it so far. I tried this body scrub out in the shower and I really do love it! The scrub is so fine and not gritty, it smelled like champagne and my skin felt so smooth and was glowing afterwards! I received this Ouai Leave in Conditioner in my FabFitFun box and in my Sephora Play! box I received the Ouai Wave Spray. 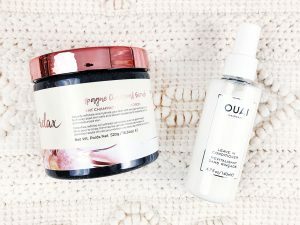 I love BOTH of these products and I’m really thinking I need to check out some other products by this brand! I was using a translucent setting powder, but it ran out and I never refilled it. 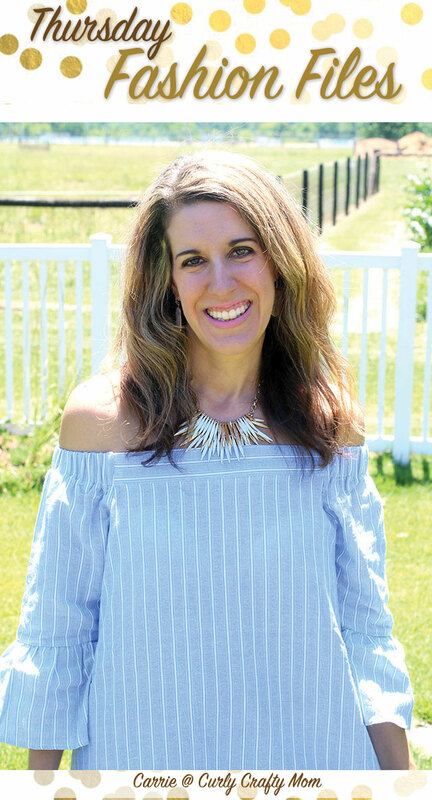 I was excited to get this one in my FabFitFun box and I’ve been loving it so far… especially on outfit photo days! 🙂 It gives your skin a soft-focus finish that you’ll love! I really love picnics and I was so excited to receive this ‘lovers’ (ooh-la-la) picnic set. 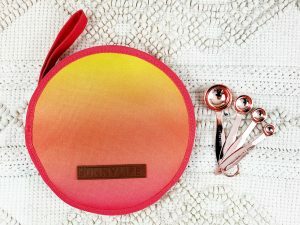 I love the sunrise colors to it and that it has plates and utensils for two. I just new I had to have these copper measuring spoons. 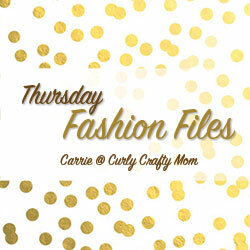 Perfect for blog props and just for general cooking! Total Retail Value of Box: $271.00!! Isn’t that amazing?! I was really, really pleased with ALL of the items in this box! I will definitely continue this subscription! I am always see excited when it arrives. To find out more about FabFitFun (and save $10.00 off your first box! ), click HERE. My pick from last week’s party is Jessica from Jeans and a Teacup.